There are many different things that you can learn from being part of the big machine and there are many things that you can learn when you are “riding solo.” What is more valuable in terms of knowledge? What is more profitable? You can learn a lot chasing that dream or you can learn a lot when you are trying to start an SEO company based on service providing. The thing about doing SEO is that you usually teach yourself what is most interesting – but it can also be very profitable. Besides, there is no “degree in SEO” out there and everyone that is going to get hired by a top-paying agency in the first place is going to be self-taught and is going to have to show some proof that they have been doing this for a while and that they have been doing it the right way. You learn coding when working for yourself, you learn little oddball loose ends when working for yourself, and you learn a lot of things by trying to solve problems on your own that you just don’t have the time for when you are working for an agency. Even though you learn the essentials when working for yourself, you really learn a lot more about teamwork and about working with others within a system when working for an Internet marketing agency. On top of that, you will have a lot more resources and thus will be able to use them at your disposal. These resources will be things like amazing tools, graphic designers, top-level programmers, things of that nature. All the things that were too expensive to take on when you were working for yourself will now be made available to you when you are doing SEO at an agency. Both ways of learning SEO are good, whether you are working for big brands like Nike or you are doing local SEO for a company like StorageMart. Just remember that even though the “grass is always greener” on the other side of the fence, you can always find a way to learn as many things as you can – wherever you’re working. About the author: This article was written by Philip Rudy. 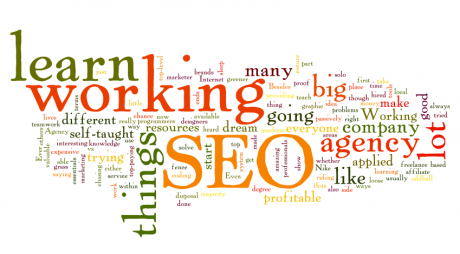 In his spare time, Philip likes to be creative and write about articles in the SEO niche. SEO is his passion and he has been doing it for the last three years.